2100 block of Elida Road, Lima — Police responded Monday to the report of the destruction of property. 400 block of Haller Street, Lima — A domestic violence incident was investigated Monday. 1500 block of North Cole Street, Lima — Police received a report Monday concerning a missing person. 400 block of East Wayne Street, Lima — A breaking and entering incident was investigated Monday. 600 block of North West Street, Lima — Police responded Monday to a hit-skip traffic accident. Bellefontaine Avenue at East Elm Street, Lima — A traffic accident resulting in property damage was investigated Monday. 600 block of Hope Street, Lima — A domestic violence incident in progress was investigated Monday evening. 300 block of North Collett Street, Lima — Police responded Monday night to the report of an alleged assault. East North Street at North Jackson Street, Lima — A traffic accident with injury was investigated Tuesday morning. Main Street at Third Street, Lima — A subject failed to comply with deputies on Tuesday following a traffic stop had been initiated. 3900 block of North Kemp Road, Elida — A female told deputies on Sunday that she had been assaulted. 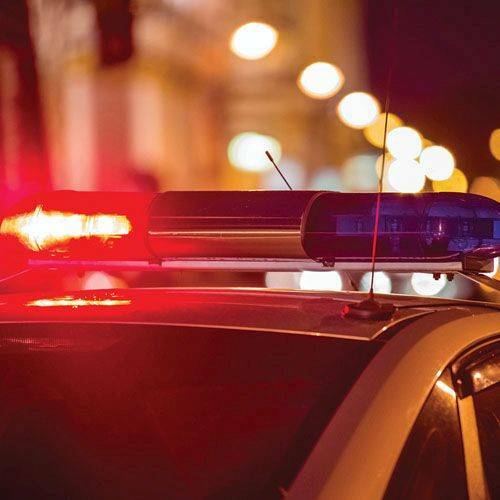 100 block of West Main Street, Beaverdam — A person told deputies that an unknown person forced their way into a residence Monday and removed several items.